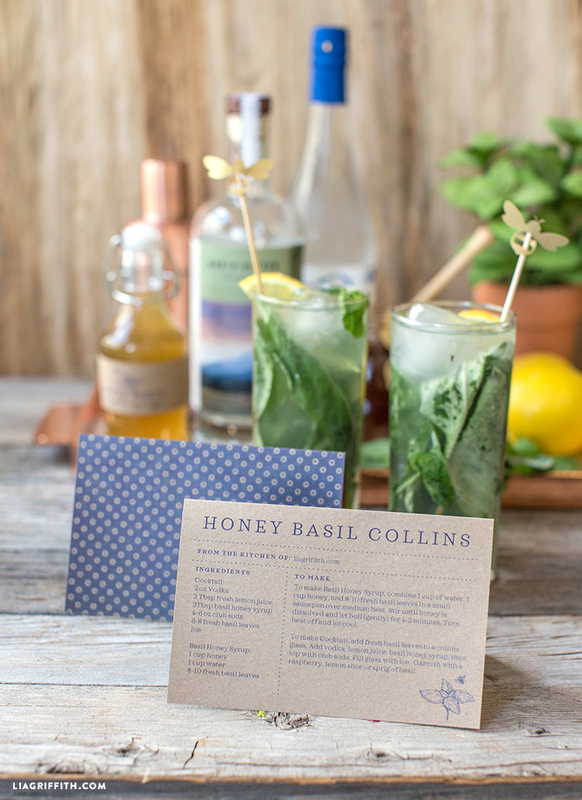 Crafty Cocktail: Make This Refreshing Honey Basil Collins Cocktail Recipe! 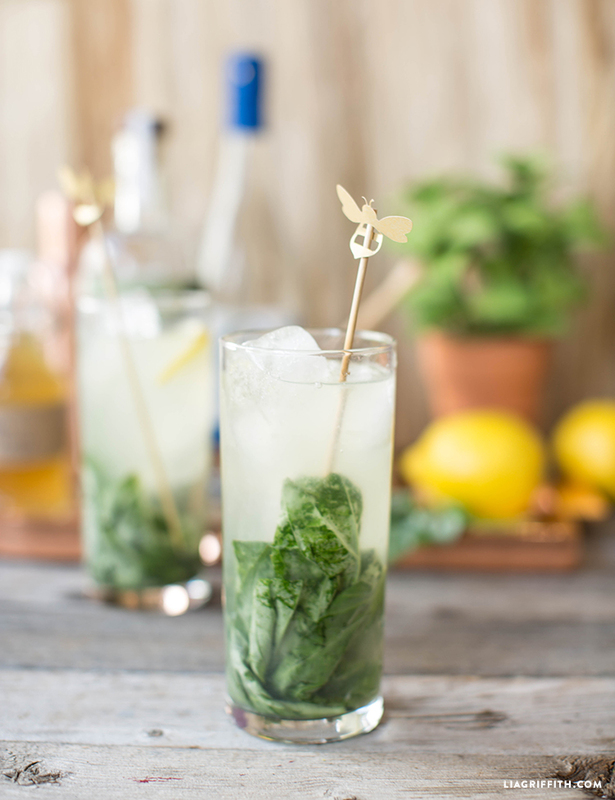 What’s an outdoor summer adventure without a refreshing drink? 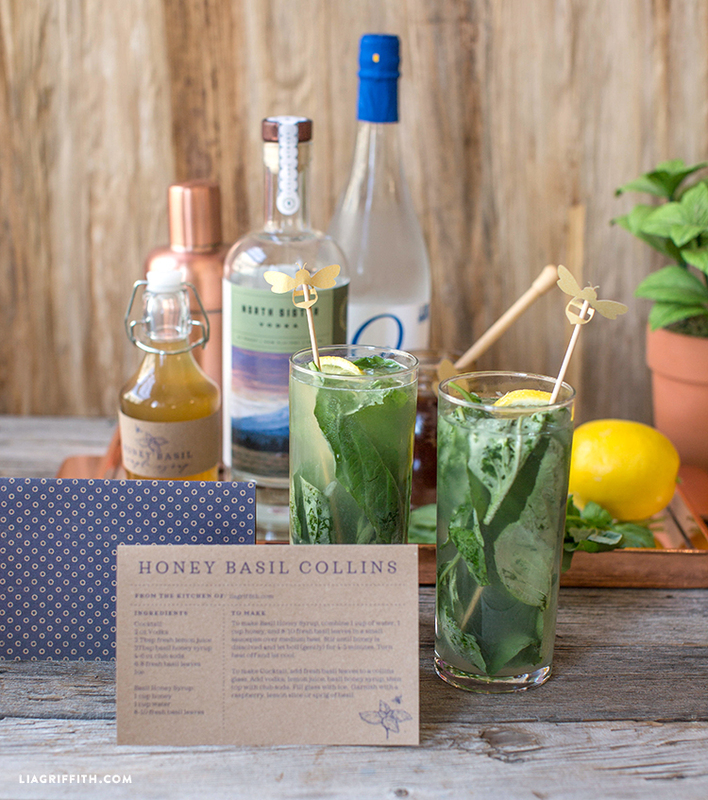 Try this superb Honey Basil Collins cocktail recipe! 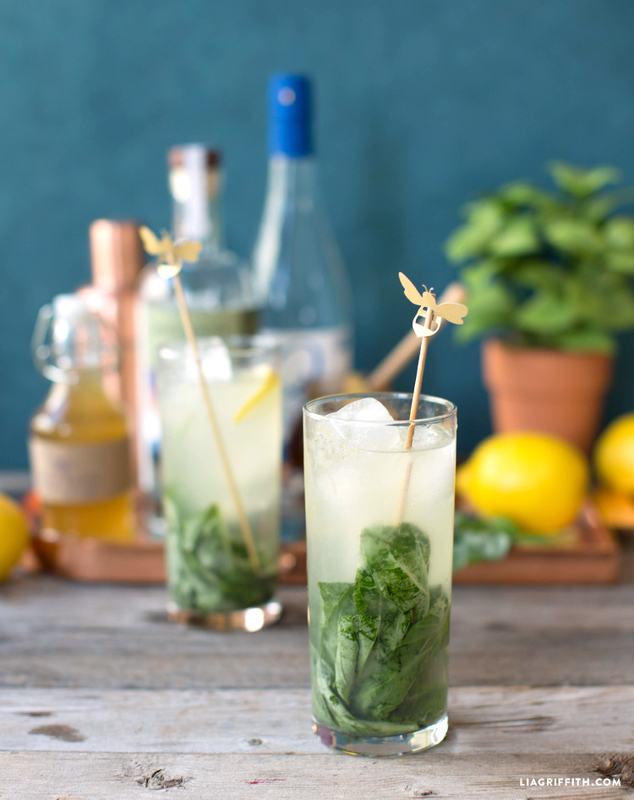 Basil, honey, lemon, and vodka come together in a cacophony of deliciousness sure to tantalize your taste buds! 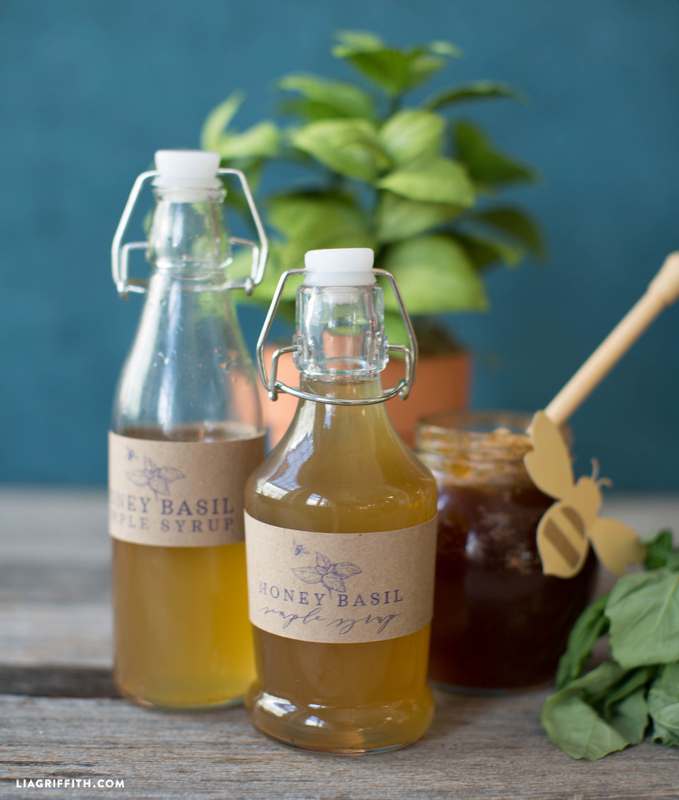 (The secret ingredient is our signature Basil Honey Syrup – make enough for multiple occasions.) 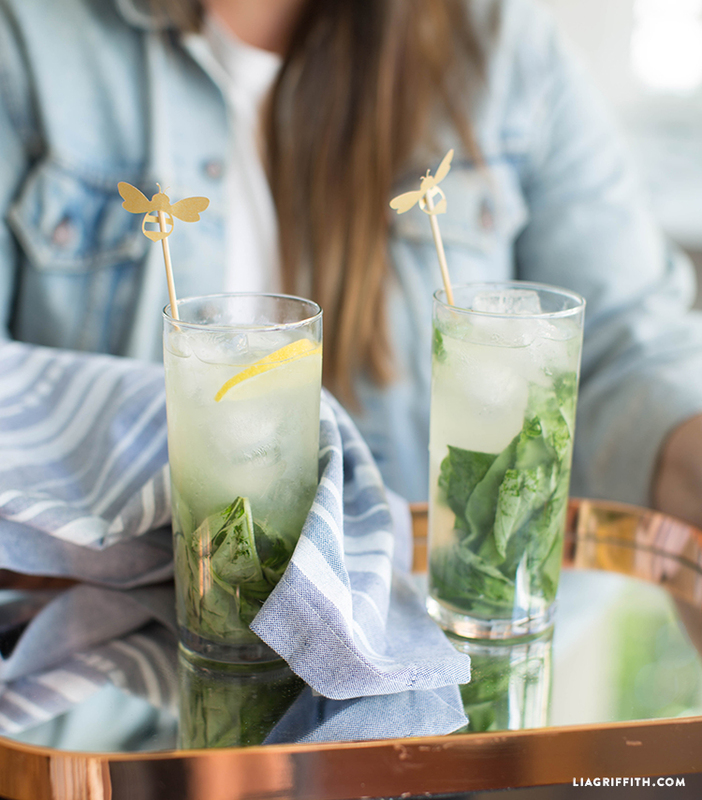 Adorn your drink with an adorable papercut honey bee. The wonderful part? 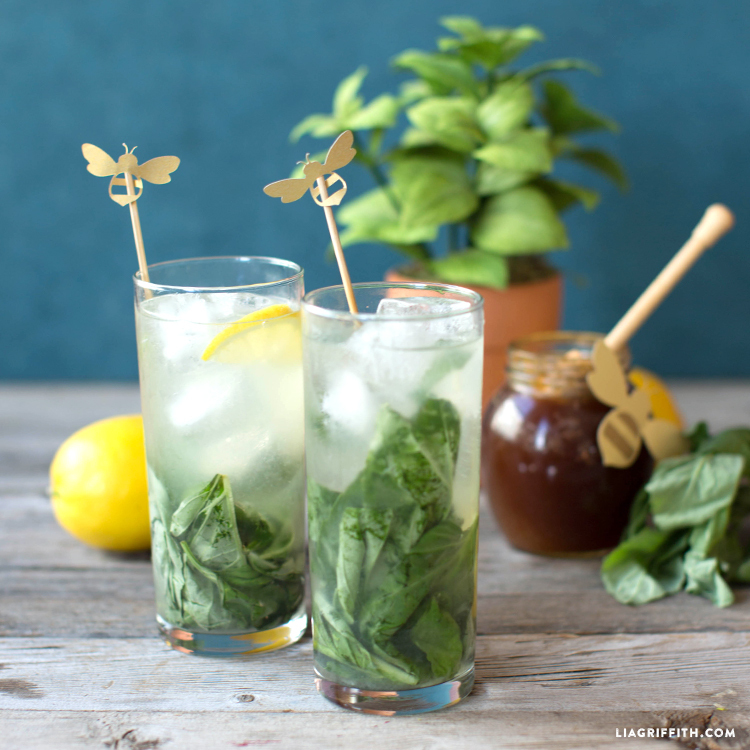 Our Honey Basil Collins is crazy easy to make! Just gather the ingredients and follow the recipe below. 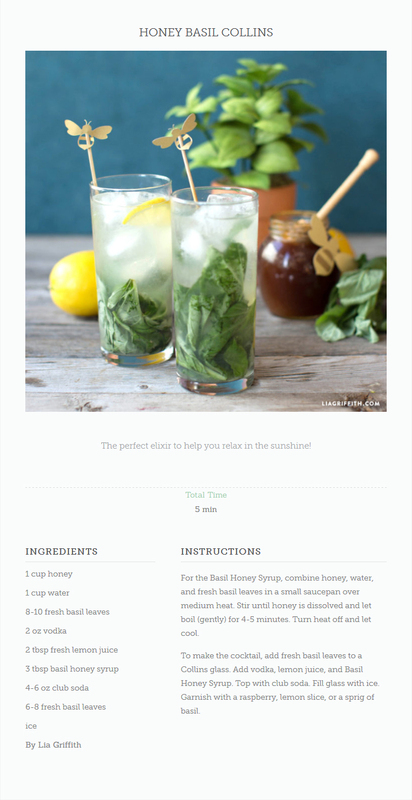 Downloads include a recipe card for the cocktail and label for the honey basil syrup. Print these on text weight Rustic Kraft Brown Bag. We also included an editable version of the recipe card to customize how you wish. Drink Up Some More Crafts! Love the recipe. Do you have a file for the little bee to decorate?